Traveling is one of the best parts of life. But paying for it? Not so much. Luckily, there’s plenty you can do to cut costs when exploring new parts of the world — and it all starts with saving money on airfare. Here are seven ways you can fly to new heights without making your bank account reach new lows. 1. Always, always, always clear the cookies in your browser. When you shop for flights online, most airline websites track your browsing history to get an idea for where and when you want to go. And with this information, they’re able to implement something called dynamic pricing. This demand-based method of pricing may keep you from getting the lowest price possible. 2. 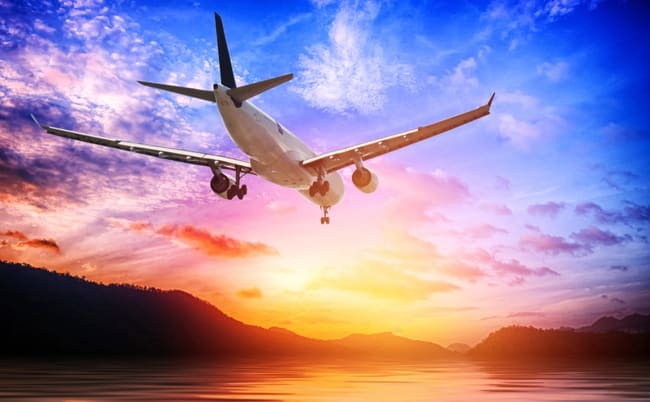 Book flights on different airlines. This one takes a bit of time, but it’s completely worth it if you can find the right situation. Once you’ve cleared the cookies in your browser, run a search for the same flight on several different airlines. After you get an idea of how much the roundtrip flights will cost, run them as one-way flights. Keep careful track of all these figures (spreadsheet, anyone?) to determine the best route. Often, it can be cheaper to fly one airline to your destination and a different airline back home. Just make sure you stay organized. 3. Sign up for alerts from all major airlines. You know those annoying emails that clog up your inbox? You’re going to want all of them. Because (spoiler alert) they’ll let you know when the best deals are going on. You can even set alerts for certain destinations to make sure you never miss a beat. 4. Book your flight for the right day of the week. Specifically, on a Tuesday, Wednesday or Saturday. These days are often far less-traveled — and therefore, more affordable. Get creative with your vacation time and watch it pay off! 6. Travel when no one else is. If the timing of your trip is flexible, consider traveling at a less-busy time of year. Think shoulder season (June, July, October, November) and the off-season (January, February, September). Avoid holidays if possible, since that’s when tickets typically will cost the most. 7. Sign up to earn points. Most airlines offer some sort of frequent flyer rewards program, which can save you a lot of money in the long run. This works especially well if there is an airline that you typically fly, but you can accumulate points with any airline — just sign up for free rewards program accounts with each one, and make sure you’re logged into your account before booking a flight. The more you fly, the more points you’ll earn. And the more points you earn, the more you’ll save.